Looking for a memorable way to capture an evening out with a group of friends? Jägermeister's new JägerBonds app is the answer—transforming everyone's images and videos from the night into a high-energy music video highlight reel. 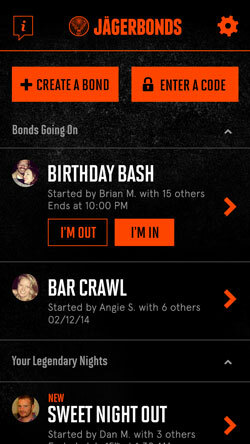 The JägerBonds app can pull content from multiple Facebook and Instagram accounts. That means everyone you're out with (or want to connect with) posts to their social networks as usual—no extra work on anyone's part. Using a uniquely coded "Bond" to identify your group, JägerBonds pulls those images together into a short video of the night set to music you select from some of today's hottest artists, including Fall Out Boy, Eli Young Band and Paul Oakenfold. When the night ends, you can share your video online or keep for your group's eyes only. JägerBonds is perfect for capturing a fun night out for drinks, dinner with friends or even a unique twist on a special event, like a birthday party or wedding. 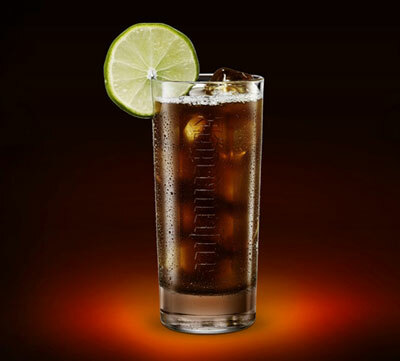 Combine all ingredients in a shaker with ice, shake well and strain into a tall glass with fresh ice. Garnish with a lime wheel.